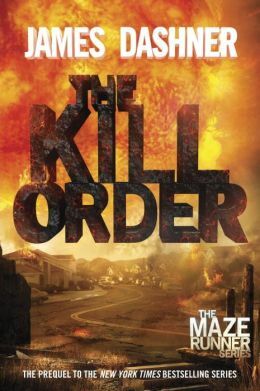 This week's Book Giveaway is James Dashner's The Kill Order, the prequel to his bestselling Maze Runner series. I've never read the Maze Runner books, but I'm choosing to believe that makes me the ideal person to review a prequel (no preconceptions! ), rather than, y'know, totally unprepared. My review should go up this evening.